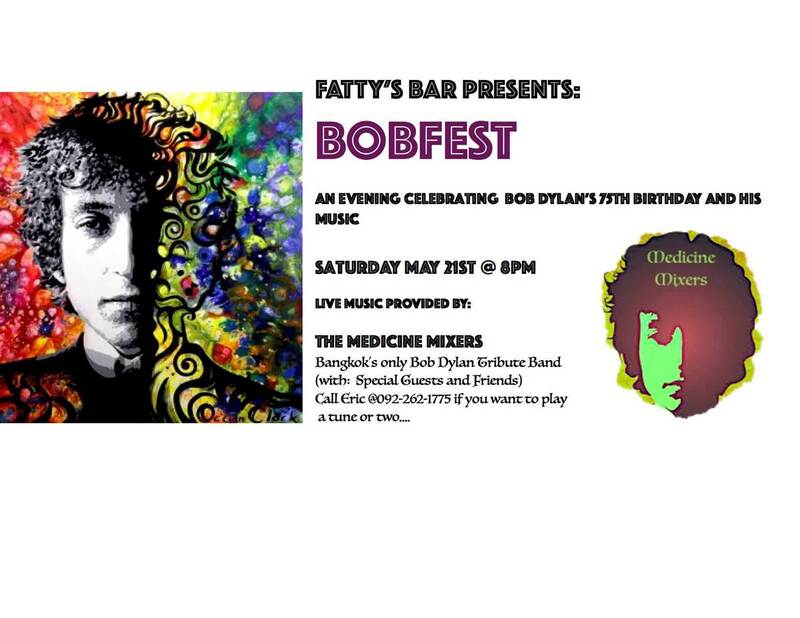 An evening celebrating Bob Dylan's 75th Birthday and his music. orn in May 1941, Bob Dylan forged a 50 year path of creating and performing foreceful, thought-provoking and just darn good music. Come to Fatty's to celebrate his birthday. Live Music provided by The MEDICINE MIXERS with special guest performances. Contact Eric at 092-262-1775 if you would like to participate musically.